« Here’s to Franconia Ridge and No Waste! People ask why I need to spend so much time hiking in the mountains. Because water is so central to our health, I read constantly about conditions the world over that threaten our water supply and our access to clean water. I read about the persistent way US corporations like Bechtel have gutted rivers in India with dams and reservoirs, destroying farmlands and natural means of irrigation that have worked for centuries. Bechtel and others have stolen livelihoods and left poor people not only without enough drinking water, our most basic right, but no water for all the cooking, bathing, and general use we take for granted. When I see the video of a 5 year old girl balancing a 4 gallon container on her head to carry the long way home, or mothers holding infants staring with vacant, starved eyes, I despair at the helplessness I feel to stop the carnage. When I read that Jenna Bush was sent to Paraguay to seal the Bush family deal to buy 100,000 acres of land sitting on the biggest aquifer in South America, I realize that our service people are being set up for water wars just as they were for oil wars. And I head for the Falling Waters Trail or Gorge Brook, or Smart’s Brook to savor the sounds, smells, and sights of clear running water. I can still carry two liters of clean water from my kitchen tap. I wonder how much longer we’ll enjoy these luxuries in New Hampshire. 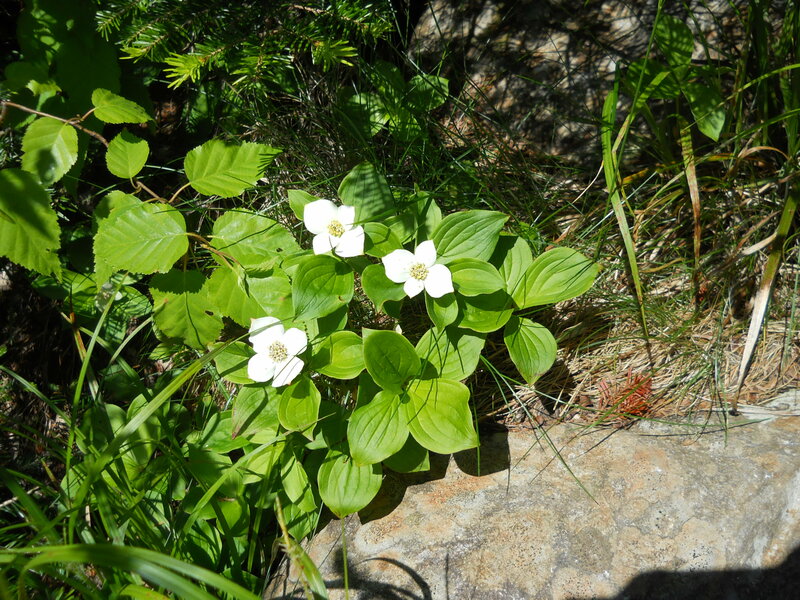 How long will I be able to enjoy Bunchberry plants lining the paths of the mountains and abundantly filling the upper slopes? How long will we be able to count on the White-throated Sparrow’s song in the high peaks? Bechtel’s same water scenario is being played out in the James Bay area (also a Bechtel contract) by Hydro Quebec. Home to 80,000 indigenous people, on not exactly ‘uninhabited’ land, 6,000 people have been displaced by dams and their reservoirs. Even more have lost their income from fishing and wilderness guiding. And we haven’t begun to talk about irretrievable damage to the ecosystem in general. People say, “Oh, that’s Quebec’s problem.” But, in order for Quebec to continue to thrive on the income they make at the expense of their own indigenous people and their once beautiful province, they now want to share the destruction with New Hampshire. They went overboard destroying their own environment and now have an overload of energy. A vote for Northern Pass is a vote for corporate wealth gained on the backs of poor people. It’s no different than what Bechtel is doing in India and we haven’t begun to see the long term effects of scale in store for us. Bolivia demonstrates for us that if enough people actively pursue their rights, they will be able to claim them as Bolivia’s people did by kicking out Bechtel, which was robbing them blind of their water rights. Hopefully, NH citizens will learn from their ordeal as our rights are threatened, and now, more than ever, we need to be on the alert and band together to claim those rights. We can no longer say that we didn’t know or weren’t warned. This entry was posted on June 22, 2012 at 3:50 pm and is filed under energy, Environment, Water. You can follow any responses to this entry through the RSS 2.0 feed. You can leave a response, or trackback from your own site.